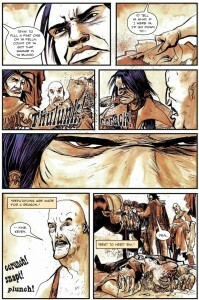 Written by Andres Salazar and Penciler Jose Luis Pescador, Pariah, MO is a western with a supernatural twist. It’s pitched as Deadwood meets Buffy the Vampire Slayer. 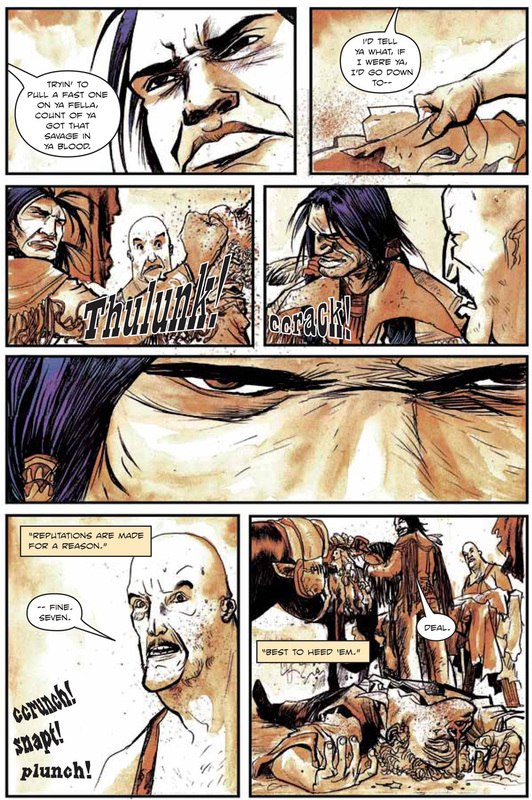 Part wild-west historical drama, part supernatural mystery, Pariah is set in 1857 a few years before the Civil War. 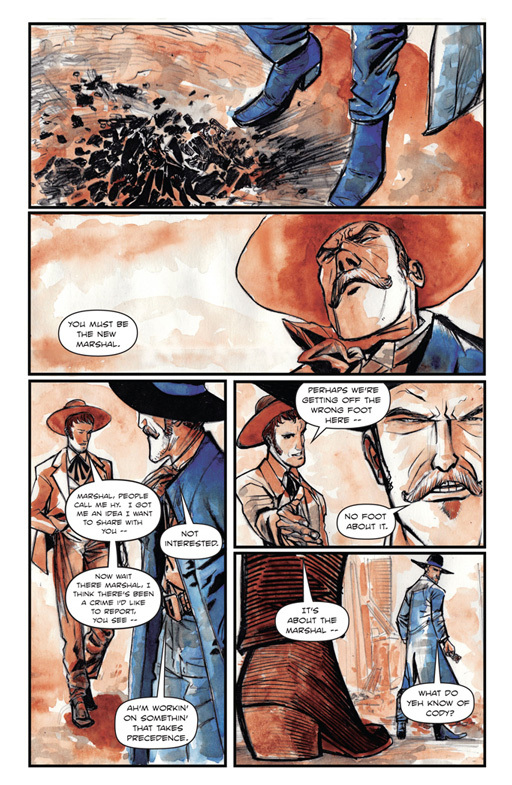 Considered a team book, we follow Hiram Buchanan an undercover Pinkerton, Nellie a feisty courtesan, Jean a practitioner of vodoo from New Orleans and Toro a Comanche bounty-hunter as they ferret out evil. Pariah, MO is a gritty western. I love stories that have ensemble casts, and we have plenty of characters and stories to tell in Pariah. 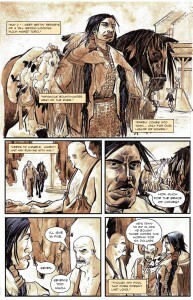 In this page, we are introduced to Toro, a half-Comanche half Mexican that passes through town regularly dropping off pelts from trapping. He’s also a notorious bounty-hunter and people give him a wide berth. 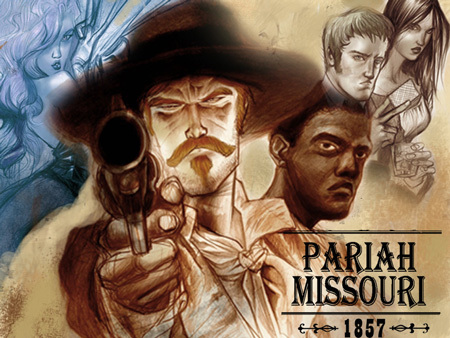 Pariah, MO focuses on Hiram Buchanan seen here. He’s our Scarlet Pimpernel. He acts as a cheat and fop, but he’s a detective and creates his “A-Team” in Pariah. Unfortunately in this scene, he introduction to the new visiting Marshal Kane does not go well. These two honorable law men will be at odds for much of the story. I wanted to tell a story where people’s perception judges their actions and path, not necessarily just all the ‘good guys’ get together… it’s much harder than that in real life and I will be exploring that in Pariah, Missouri. 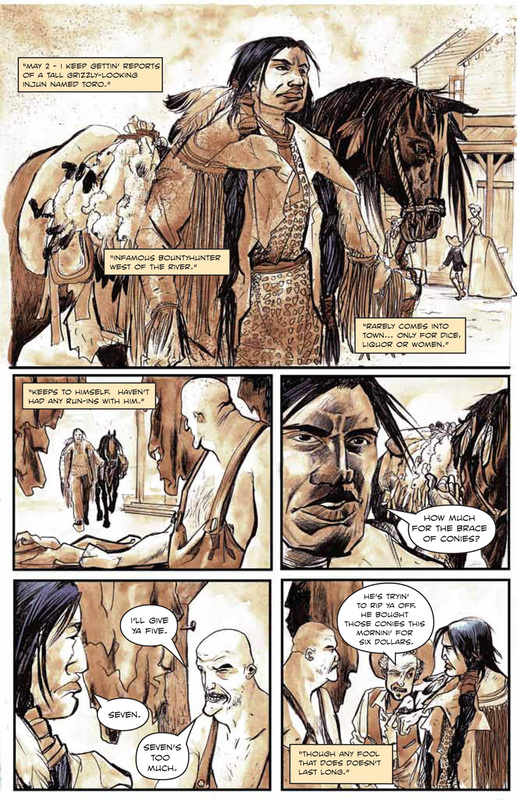 This entry was posted in Columns and tagged andres salazar, civil war, jose luis pescador, missouri, pariah, supernatural comic books, western comics. Bookmark the permalink. Follow any comments here with the RSS feed for this post. Post a comment or leave a trackback: Trackback URL.